Mohammad Chowdhury graduated with a B.Sc. in Marine Science with honors from the University of Chittagong, Bangladesh and earned his M. Sc. in Coastal Geosciences and Engineering from the University of Kiel, Germany. His Master's thesis was titled, "Assessment of water flow and the impact on sediment motion in a tidal channel of North Sylt basing on radar observation." His research interests include remote sensing, GIS, ocean observation systems and coastal dynamics. 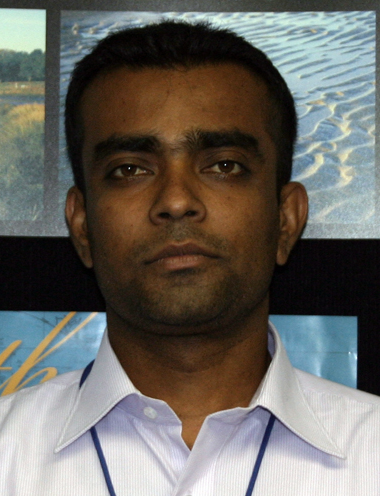 Chowdhury has been with the faculty of the Institute of Marine Sciences and Fisheries at the University of Chittagong in Bangladesh since October 2002. He is also a visiting lecturer at the Marine Fisheries Academy, Bangladesh and the Naval Hydrography Long-course. He has experience in both academic and commercial projects in the region of the Bay of Bengal. G.P. 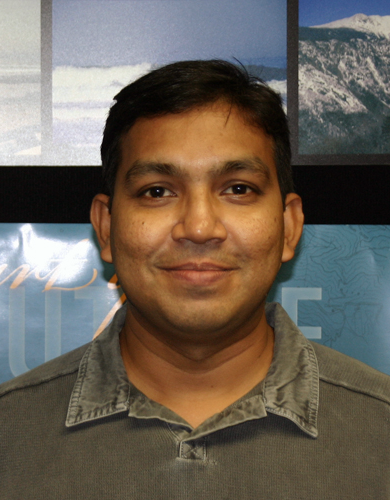 Gunasinghe is a member of the Faculty of Geomatics at the Sabaragamuva University of Sri Lanka. He has a B.Sc. (Hons) in Surveying Sciences (Second Class Upper Division) from Sabaragamuwa University. Prasadh's principal research interest is the field of Ocean Mapping with GNSS applications and has participated in the research projects, "Wavelet transform application to C/A code multipath mitigation at GPS reference stations for improved differential GPS corrections," and "Establishment law cost Differential GPS streaming system for Marine, Maritime and Geospatial activities." Prior to his faculty position, he was a hydrographic surveyor for Lanka Hydraulic Institute Ltd, Sri Lanka..
Norhizam Hassan is a Commander in Royal Malaysian Navy. He has taken various professional naval and hydrographic courses. He completed his basic hydrography Category B in Italy and his Category A in Malaysia from the University of Technology Malaysia. In 2007, he received a Master's Degree in Oceanography from the University Malaysia Terengganu. He has served various appointments as Hydrographic Surveyor onboard Royal Malaysian Navy survey ships since 1996 and became the Captain of the hydrographic survey ship KD Mutiara in 2009. 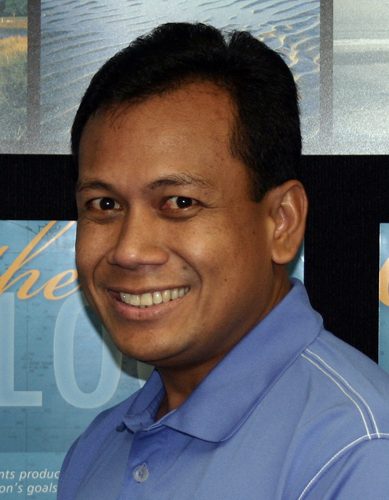 His most recent appointment was as Department Head of Hydrography at National Hydrographic Centre, Malaysia. In his Post Graduate Certificate in Ocean Mapping course, he intends to learn new technologies and build networks with other students and lecturers. In addition to learning new technologies, he will be working with state of the art equipment and experts while participating in bathymetric data management project in South East Asia. In his spare time, he enjoys watching sports such as F1 racing, football, badminton and golf. 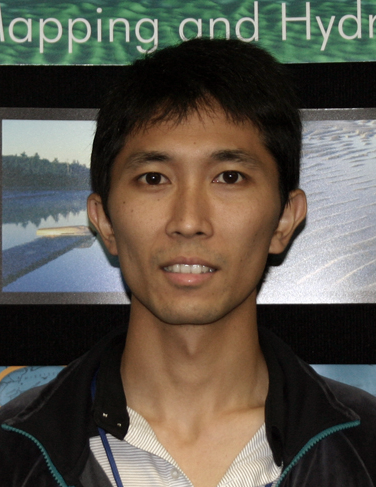 Hiroki Minami started his career with Hydrographic and Oceanographic Department, Japan Coast Guard (HODJ) in 2008. He was engaged in the project for delineating the outer limit of the extended continental shelf in Japan. He is currently a researcher and is focusing on ocean mapping using the autonomous underwater vehicle (AUV) which will be introduced in HODJ in 2012. He received his M.S. degree in Meteorology from Kyoto University, Japan in 2008. His thesis title was, "Origin of the water vapor over the Tibetan Plateau." He likes mountain climbing and skiing. 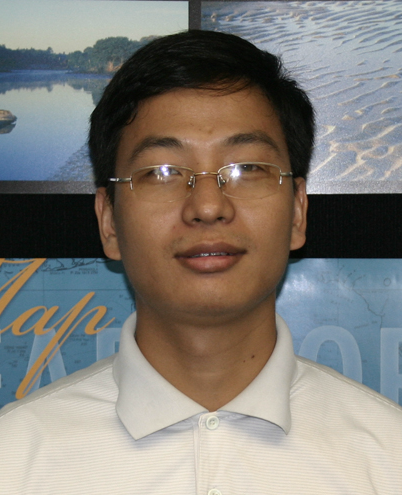 Nguyen Trung Thanh has joined the Institute of Marine Geolgy and Geophysics (IMGG) under Vietnamese Academy of Science and Technology since 2009 after achieving Bachelor Degree of Geology at Ha Noi National University. He also finished the graduate program Master of Science in Coastal Geosciences and Engineering at Christian Albrechts University of Kiel, Germany in 2009. Recently, he has managed the Department of Marine Geochemistry and Mineralogy at IMGG. He has joined many interdisciplinary research projects which are related to coastal and marine geology. One of his main marine research goals is applying acoustic technology (multi-beam, sidescan sonar, echo-sounder and high-resolution seismic acquisition devices) and ocean mapping knowledge in some researches such as morphodynamics of coastal waters and shelf, submarine geological processes, and in exploring some deep sea mineral resources, for example, manganese crust and gas hydrate. Saw Nu Sanda THEIN has been a Assistant Lecturer in Port and Harbor Engineering Department of Myanmar Maritime University since 2002. She graduated with an undergraduate degree in Civil Engineering from Yangon Technological University, Myanmar in 2002. She received her Master Degree in Harbor, Coastal and Offshore Engineering from Hohai University, Nanjing, China in 2006. 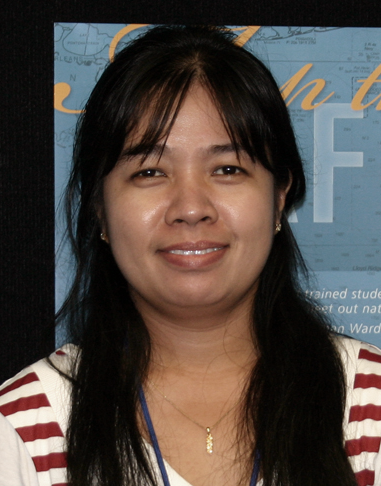 Her thesis was titled, "Application of SWAN Model in Myanmar Coastal Regions." After completion of this certificate course, she hopes to take part in bathymetric mapping of deep-sea ports in Myanmar. As one of the teaching staff, she shall contribute what she has gained in the GEBCO training program to the students of Myanmar Maritime University. She likes to travel new places.